[News] Jung Ryu Won and Lee Dong Wook chosen as MCs for ’2012 SBS Drama Awards’. 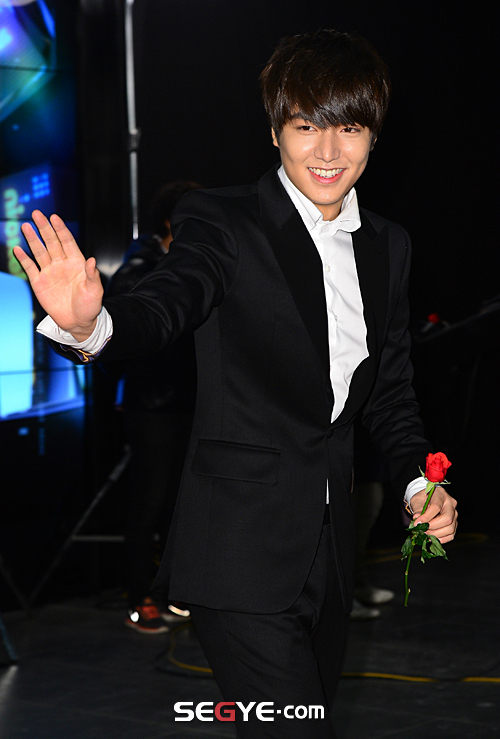 The ’2012 SBS Drama Awards’ at the Seoul Mapogu SBS Prism Tower. The pair have featured in a sitcom together one before, this is a first time for working together in 10 years. With his experience from ‘Strong Heart‘, Lee Dong Wook is expected to entertain the audience with his witty comments accompanied by the actress, increasing anticipation for the year-end ceremony. 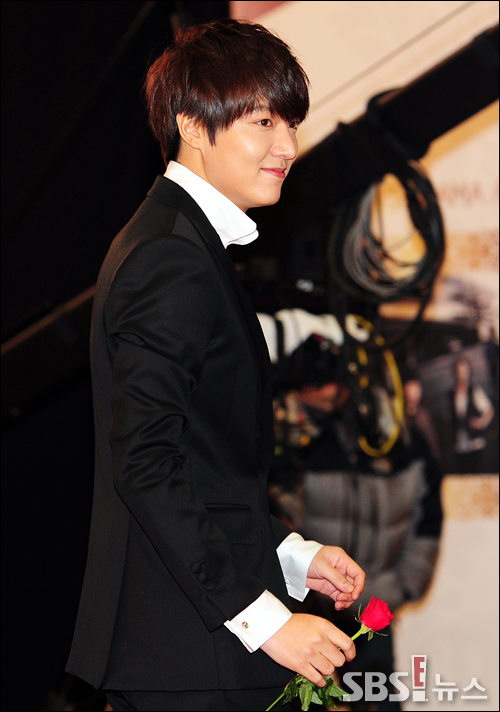 [Photo] Lee Min-ho Red Carpet at '2012 SBS Drama Awards'. [News] “School 2013” Lee Jong Suk to Host 2012 KBS Drama Awards. Actor Lee Jong Suk has been chosen to be the MC of the 2012 KBS Drama Awards. 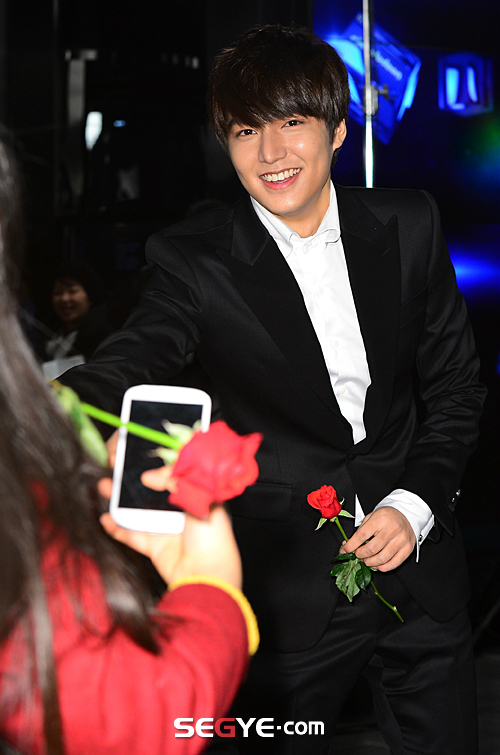 The handsome actor will show a new side of him as he hosts the yearly award show that will be live broadcasted on December 31 at 8:50PM KST. Viewers are already anticipating to fall more in love with Lee Jong Suk’s charms, now as an MC. Netizens have responded positively to this choice. “I will watch the show for him” and “Not only is he good at acting, he is progressing really well” were some of the comments. Meanwhile, Lee Jong Suk recently had a pictorial in “Vogue Girl” with his costar Kim Won Bin. [News] People want to spend New Year’s Day with Han Hyo Joo and Moon Chae Won. People selected actresses Han Hyo Joo and Moon Chae Won as female celebrities they want to spend New Year’s Day together. In the survey Female Celebrities You Want to Spend New Year’s Day Together, Han ranked first, receiving 4,773 votes, and Moon ranked second, receiving 4,722 votes. Han received many favorable reviews for an innocent, elegant look in the movie Masquerade and a daring, shameless look in the movie Love 911. Moon received a lot of favorable reviews for portraying a confident, independent woman in KBS 2TV’s drama series Nice Guy. The survey was conducted from December 11 to 30, targeting 10,791 people. [News] Winner List of ’2012 MBC Drama Awards’. The stars and crew of 2012′s best MBC dramas and miniseries came together earlier today to celebrate the end of the year and recognize the talent that shined over the past 12 months, both on and off the camera, at the ‘2012 MBC Drama Awards‘. [News] Jerry Yan, Vic Zhou, Ken Zhu, and Vanness Wu, Perform for 2013 Chinese Lunar New Year Celebration. 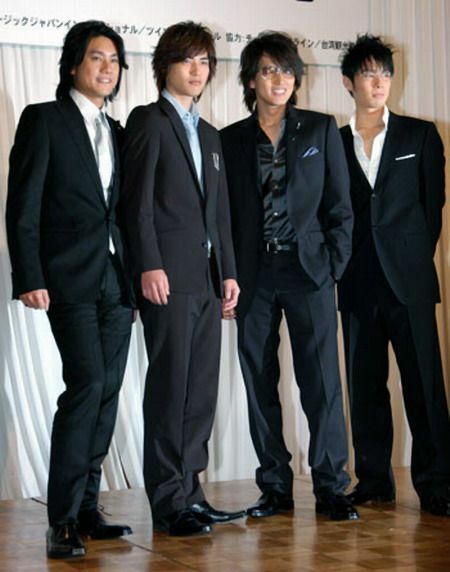 F4 Purportedly to Reunite and Perform for 2013 Chinese Lunar New Year Celebration. 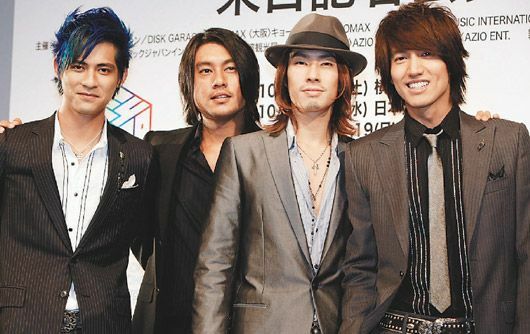 The China news is reporting that after years of trying to reunite F4 (also known as JVKV) for China’s largest lunar new year television program, they actually succeeded by throwing so much money at Jerry Yan, Vic Zhou, Ken Zhu, and Vanness Wu that the four guys are going to perform one of their seminal songs “Meteor Rain” in the upcoming 2013 lunar new year celebration. The song is of course from the TW-drama that propelled them to fame Meteor Garden (1 and 2) which was the first of many drama adaptations of the manga Hana Yori Dango. The leading lady was Barbie Hsu but let’s not lie and say we all watched it for her. She was good goner for both Jerry’s version of hot blooded Domouji (Dao Ming Shi) and Vic’s version of autistic and introverted Hanazawa Rui (Hua Ze Lei). F4 was the group that was formed by the four guys who played the drama version of F4 and they were actually quite popular all over Asia. The last time the boys reunited was in 2009 for their Japanese sold-out tour but since then everyone has gone their own ways. 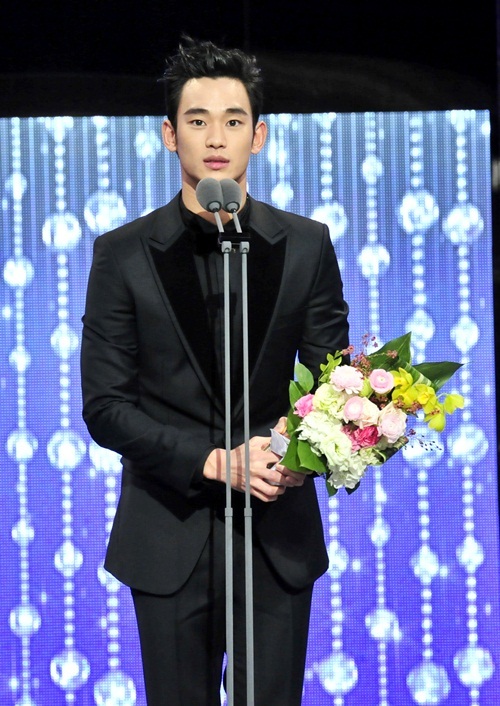 [News] Kim Soo Hyun wins Most Popular Actor in MBC Drama Awards. Kim Soo Hyun wins Most Popular Actor in MBC Drama Awards. 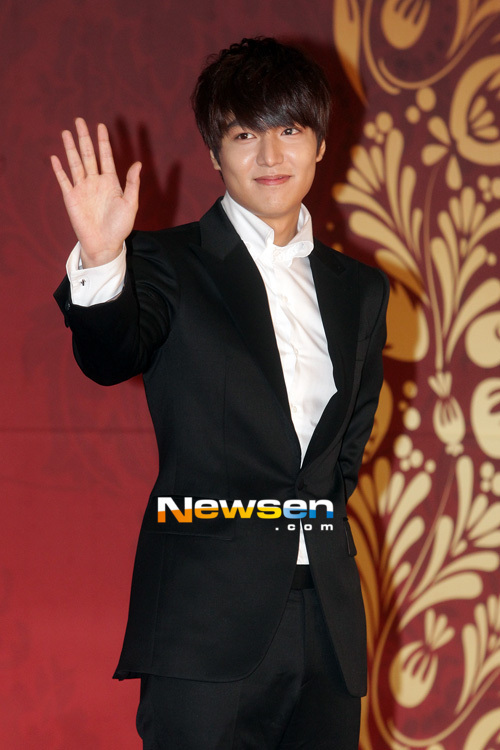 In the ceremony that took place in the MBC Hall in Yeoeuido, Seoul, on December 30, the actor won the award for his role in The Moon that Embraces the Sun. 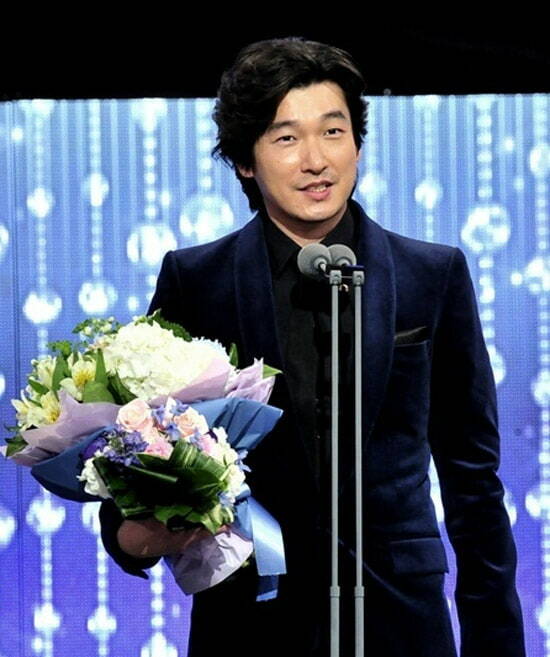 As he was named as a winner, the actor climbed up the stage with a surprised look. “I’m on top of the world as this is what I was always hoping for. Thank you for all your love and support. I’ll do my best to live up to your expectations,” said the actor in his acceptance speech. The Moon that Embraces the Sun is the most watched TV series of this year with the audience share of 45%. Despite the huge success of the series and his overwhelming popularity, the heartthrob remained modest as always. Most Popular Actress went to Yoon Eun Hye for her role in Missing You. The MBC Awards was hosted by Kim Jae Won and Son Dam Bi. [News] Kwon Sang-woo and Jackie Chan hit gold. “Chinese Zodiac,” in which the 36-year-old Korean actor played Chan’s sidekick, raked in $34.6 million in the four days since its release last week, according to Chinese news media, a record for any Chinese movie. The action-comedy, which is a follow-up to the “Armor of God” from 1986 and “Armor of God II” from 1991, is Kwon’s second movie in China after the romantic love story “Shadows of Love,” which opened earlier this year. The movie will hit screens in Korea in February, but local fans will be able to see Kwon earlier on the television screen in the new SBS television drama “King of Desire,” to be aired beginning next month. [News] Joe Cheng Starts Own Agency and Signs Hottie Toby Lee. Joe Cheng is currently still in the army with a few months left to go, but he’s been in the spotlight still for various entertainment related reasons. The period Taiwanese movie Ripples of Desire, which he filmed prior to enlisting, just got released in Taiwan though Joe had a low key entrance to the movie premiere on crutches due to a recent surgery for a bone fracture sustained during his military service. The movie co-stars Jerry Yan, Michelle Chen, and Ivy Chen, and is set in the 1700s island off of Taiwan and involves courtesans and pirates and scholars and star-crossed love affairs. I was meh about the trailers so here’s to hoping its good for the sake of the cast. Joe recently left his long time agency Catwalk after his contract was up and started his own agency MIE, as many an entertainer elects to do for greater creative and financial control. Joe started off at Catwalk along with Mike He and Ethan Ruan (they were all BFFs and were known as the Catwalk Three Musketeers), but Mike left already and now with Joe gone only Ethan remains at the agency with Ethan’s girlfriend Tiffany Hsu among that group which started around the same time. Catwalk is really a modeling agency first and foremost and it just got lucky it hit the jackpot with hot tall guys who could act like those three. Before Joe enlisted he also signed his first entertainer to his agency and it’s that gorgeous looking due next to Joe. He’s being called a taller Eddie Peng but honestly he looks like a younger (and taller as well) b to me. His name is Toby Lee (李程彬) and he’s just a young 24 years old. Looks like Joe already has good taste in spotting talent and I’m looking forward to his return from MS and to see what this newbie will bring to the table. These two sure are ridiculously easy on the eyes. 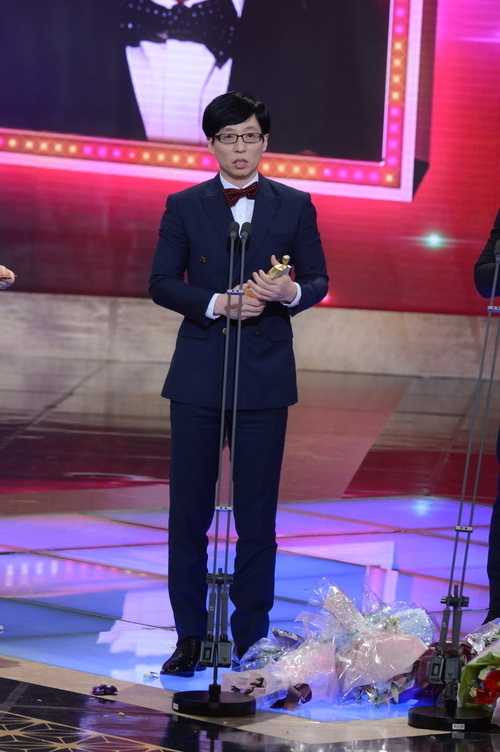 [News] Winners of the 2012 SBS Entertainment Awards. On December 30th, the yearly SBS Entertainment Awards aired live from the SBS Prism Tower in Mapo-gu, Seoul with Yoon Doohyun, Girls’ Generation’s Sooyoung and Haha as the program’s MCs. Several entertainers who were active this year appeared at the awards including Yoo Jaesuk, BoA, Ji Seokjin, Lessang’s Gary, Jeon Hyebin, Han Hyejin, Lee Chaeyoung, miss A’s Suzy and more. [News] Jae Hee Thanks “May Queen” Co-Star Kim Jae Won For Keeping His Marriage a Secret. Actor Jae Hee recently thanked fellow co-star Kim Jae Won for staying mum about his marriage. When asked whether any of his co-stars knew about the actor’s marital status, Jae Hee replied, “Kim Jae Won hyung already knew about it before the press announced it. Once he heard the news, he turned to me and said, ‘You must be overjoyed,’ and expressed his happiness for me.” Regarding his female co-star Han Ji Hye, he shared that he did not reveal the news to her as it was the first time he met and worked with her. [News] Five Beautiful Actresses Gather to Take a Picture. In the picture are actresses Han Ga In, Han Ye Seul, Choi Ji Woo, Go So Young, and Cha Ye Ryun. They are all dressed up in black party dresses, and gazing at the camera with bright smiles. [News] “Jeon Woochi” Wins Neck-and-neck Race with “Missing You” on Wed-Thur TV Chart. The KBS series “Jeon Woochi” has stretched its winning streak on the Wednesday and Thursday primetime ratings chart, edging out the MBC melodrama “Missing You” with a narrow gap. The period-set series was chosen by the biggest number of TV audiences and posted an average 12.3 percent ratings during the week of December 26 and 27, TNmS [Total National Multimedia Statistics] showed Friday. The MBC series “Missing You” attracted an average 11.5 percent of total viewers by depicting a severe rivalry between two male leads played by Park Yuchun and Yoo Seung-ho. At the bottom of the chart is the SBS historical epic “The Great Seer,” which grabbed an average 9.7 percent of viewers in the same time frame. In the meantime, AGB Nielson Multimedia Research showed the three dramas in the same order but showed slightly different figures from TNmS in the fourth week of December. While “Jeon Woochi” nabbed the top seed with 12.5 percent of viewers, “Missing You” and “The Great Seers” followed next with 10.8 and 9.1 percent ratings. [Interview] Park Si-hoo with 10asia. Actors say they want to be remembered for the characters they play, not as who they are in real life. This tough yet sweet dream has been achieved by Park Si-hoo, who played Jun-seok, a guy who aroused the maternal instinct in many ladies, in the SBS drama “How to Meet a Perfect Neighbor,” a sly lawyer Seo In-woo “Prosecutor Princess” and a cutest-ever chaebol boss Goo Yong-shick in “Queen of Reversal," both of which were also on SBS. These characters would have been unimaginable without him and some pop critics have even coined the term, "Park Si-hoo’s melo." When we met Park before the opening of his movie “Confession of Murder,” however, he was more like Yoon Sang-hyun’s character Oscar in the SBS drama “Secret Garden” than the characters he has played. He turned out to be a provokingly smart actor who was never frustrated when he was unknown and who knew exactly what makes female viewers go crazy. How did it feel when you saw your face on the big screen? Park: It’s very satisfying. (laugh) My face look very sharp due to good use of lighting and it looks good on the big screen. Much better than I expected. I was worried if my facial or eyes expressions on big screen would make the audience feel awkward, since my character Lee Du-seok needs delicate acting. His smile is not bright and it`s hard to read his eyes. So I focused on creating odd looks in his eyes. The character has nothing in common with your former characters in TV series. Park: It’s because I don’t need to repeat things I have already done on TV. I wanted to try an extremely tough character, a role that touches your heart even though the character doesn’t appear in many scenes. So I chose a murderer character to show something new. I also focused on arousing curisity. I hope the audience will wonder what his real intention is. I tried hard to show his self-reflective mode. Does he want more attention or earn money? That`s what I want people to wonder about. It must have been an interesting part since he is not your regular murderer. Park: I’ve always said I want to play a two-sided character. If the character is just a plain murderer, it would be a drastic change in my image I’ve built until now. But this one has a reversal in the last part so I thought it would be cool. Although it’s your screen debut and your character is multi-faceted, it looks like you let Detective Choi [played by Jung Jae-young] take the lead from the middle of the movie. It sounds like you have a lot of ambition riding on the film. What did you want to achieve with your first film? Park: I wanted to expand my range through this film, It was a great choice as a first movie and I hope to hear that I did well on the big screen. The TV producers who worked with me before said they feel sorry that the character could have been more attractive than how he seems now. But that’s not the point and the point is that work should be interesting. If the work receives positive responses, that means I did something good. I can achieve my personal goals in my next project. You underlined lines in the script of “Confession of Murder” and wrote down your thoughts carefully in KBS “Star Life Theater.” You also drew attention by depicting your previous characters in your own way. How do you interpret your characters? Park: It’s important to have many conversations with directors and build up experiences that come after doing things one by one. It’s also essential to know what female viewers want to see. Even when it’s not an important scene, if they like it, I check it and remember it carefully. In “Prosecutor Princess,” one kiss scene got overwhelming popularity. In the script, it only said “twinkling kiss”. I thought to myself ‘twinkling what? Kiss with twinkling eyes?” (laugh) So I came up with an idea to kiss Ma Hye-ri [played by Kim So-yeon] with a soft smile and then look at Yoon Se-joon [played by Han Jung-soo]. I thought that would exude "bad guy" charms and a bit of a playful personality. I thought it would do well but I didn’t expect such a huge response. Park: It’s hard to explain but there is a bit of a know-how, haha. I don’t do any research but there seems to be something sad in my eyes. I became a bit relaxed after building up personal experiences, and that`s also important. When I doing the MBC drama “Let’s Get Married,” I broke up with my girlfriend after three years. She asked me why I kept doing things I did with her in TV dramas. I thought it would get good responses if I show what I did for my girlfriend. In the MBC series, my character was childish and he likes to play around and that`s actually part of my real personality. In “How to Meet a Perfect Neighbor” [“How to Meet”] you seemed to create your character, Jun-seok, with a great level of sensitivity quite aside from your acting skills. It must have been hard to persuade viewers of the drama’s concept, that of turning a woman you love into a mistress. Park: Jun-seok is a man who arouses your maternal instinct. Female audiences are fascinated with that kind of stuff so I was sure that Jun-seok would be very well-received. That could be one of the reasons why your role became bigger as the drama progressed. More people started to recognize you thanks to that role. Park: That felt really good. I was so envious of my fellow actors who got lunchboxes from their fans visiting the studio. After “How to Meet,” I suddenly started to get visits from two to three fans. I thought ‘I have finally got to this stage.’ I appreciated it very much since it happened ten years since my debut. Park: Some people say all my parts seem the same but actually they`re all different when you look at them closely. I tried to give variety in every one of them. Seo In-woo is a bit mystery and Goo Yong-shick is comic. It seems like you created your own genre called “Park Si-hoo’s melo” by digging deep into one specialty rather than expanding your boundaries. Park: The main characters of TV series are limited so it’s hard to make an extreme image change. Most of the male leads are Prince Charmings because they are attractive. And that’s why I took the role in the KBS drama “The Princess’ Man.” Along with its well-written script, I thought I could show various sides from an old fox bachelor early on who later turns into a burning avenger. It also appealed to younger people as I look a bit like a warrior in a comic book. Your next project is that of your specialized genre, a romantic comedy “Cheongdam-dong Alice.” What kind of man is Cha Seung-jo? Park: He is a very funny guy, more so than Goo Yong-shick. (laugh) The scriptwriter gave a big emotional difference in his personality so he is really pathetic at times but when he wants to protect someone, he is like Daddy-Long-Legs. He has a mix of characters I have played before. You still exude your romantic guy charms on the small screen. What is Park Si-hoo like in real life? Park: I’m very clumsy. I want to be calm but once I realized I called a kitchen towel as a chicken towel in “Star Life Theater,” haha. But my ex-girlfriends said those things make me cute and charming. Bad guys exist only in TV dramas. You began your acting career in 1997 and took a leading role in “Glory of Family” in 2008. What made you carry on in those 10 years? Park: I was really brave, fearless and full of confidence. I started out like a babe in the woods after someone told me in my country hometown that “you’ll do well on TV.” I agonized only for a few months before deciding to be an actor and thought everything would be alright after moving to Seoul. That lasted 10 years. Did you aim at an actor or a star? Park: I dreamed of becoming a movie actor but I wanted to be successful. I`m very used to watching movies since when I was six or seven, my father took me and my brother to the movie theater a lot. But I lived deep in the countryside and I was shy of strangers so tt was not easy for me to show something to others. No one thought I could be an actor. 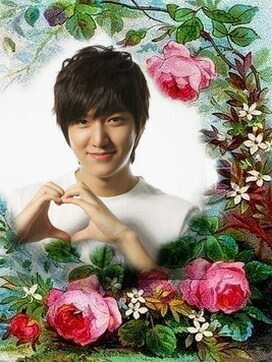 My mother allowed me to be an actor in hope that I would gain more confidence. My father told me to go for it because he thought I would give up soon anyway. I had no talent in acting to begin with, just a lot of perseverance. There were 100 people in the acting academy at the beginning but only five, including myself, made it to graduation. I was more confident running long-distance than sprint when I was little and I brought home a perfect attendance award every year. I never won any other prizes. You first started out in the theatrical circle in Seoul. Park: I put up posters and gave out flyers for plays. I appeared on the stage as extra from time to time. That was how I built up my experience. I kept doing bit parts even though it was sometimes just sitting behind the main guy. I kept going on like that and suddenly they gave me a lead since my looks are okay. It was based on my looks and I didn’t have many lines, anyway. (laugh) Then I got a TV commercial offer, again thanks to my looks and the agency introduced me a management company. During those years, did anything happen to dent your confidence? Park: Never. I was always fairly popular with people. (laugh) A colleague once told me, “I have no idea where you come from, but you are always well-received.” Without my self-confidence, it would have been impossible for me to do this job. For an actor or an athlete, self-confidence is the most important thing. The person is on the mound because he or she is qualified. My mom also helped with my self-esteem since I was little. Even though I`m quite clumsy, she always praised me than pick out my faults. While some young people shoot to stardom, I built up my career little by little, getting positive responses through my work. After I became known with “Let’s Get Married” and “Which Star Are You From” on MBC, I had a period of being in a rut. I got some favorable responses with “How to Meet” and jumped up to the next level with “Glory of Family.” It was literally one step after another. Is that why you don’t have excessive greed? Park: I have a big plan but it’s also fun to take it step by step. “The Princess’ Man” was popular but my other roles weren`t that bad either, haha. They weren’t big hits but got favorable responses and all the characters were well-received. Then what is your big picture? Park: I’d like to achieve recognition not only in Korea but also overseas. You know, everything is global these days. My first goal is Asia. I think the Chinese market would be the first step. Park: Hollywood may be a bit hard for me because of the language, haha. But you know, I can start with a role with no lines. I will get better along the way. [News] NHK releases three new previews for ‘Yae no Sakura’ starring Ayase Haruka. On December 28th, NHK has released three new previews for their upcoming 2013 taiga drama ‘Yae no Sakura‘ starring actress Ayase Haruka. The previews are available in three different versions with a runtime of two, five, and ten minutes. They serve as a mini guide for the first half of the drama. They introduce us to the protagonist Niijima Yae (Ayase), a female warrior born and raised in Aizu who bravely fought at the Battle of Aizu with her spencer rifle, the whole setting and most of the important characters related to Yae and involved in the war. Of course it’s not only about the war and its tragedies, but also about the love and hope Niijima Yae experienced in her life. The first episode of ‘Yae no Sakura’ is going to air on January 6th, 2013. Check out the three previews with the star-studded cast, Sakamoto Ryuichi’s main theme and state-of-the-art visual effects below! 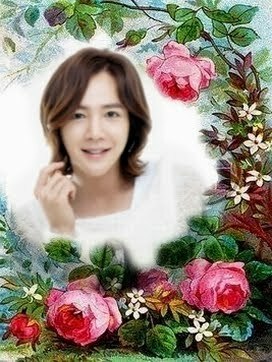 [News] Jang Keun-suk gets Hunan TV invite. Jang Keun-suk is the only K-pop artist to have secured an invite to the annual year-end concert hosted by China’s Hunan TV. According to Tree J Company, Jang will perform on the show that is aired on 16 channels throughout China and was also last year’s most-watched New Year special in its time slot. On Monday night, Jang will take to the stage in China along with his collaborator Big Brother (together they are Team H) to sing a total of three songs. Unlike last year when an array of K-pop acts performed, Jang will be the only Korean representative. The artist, who refers to himself as the “Prince of Asia,” seems to have convinced enough Chinese of the title as he has a huge following there. Back in June when he appeared on the famed talk show “Happy Camp,” also broadcast by the Chinese satellite channel, the show was the most-viewed program in its time slot. He is currently celebrating his 20th anniversary in the industry. [News] Star-Studded Army Musical to Open in January. "The Promise," a musical being co-produced by the Ministry of Defense and the Korea Musical Theatre Association, is in the final stage of preparing for opening night on Jan. 9. 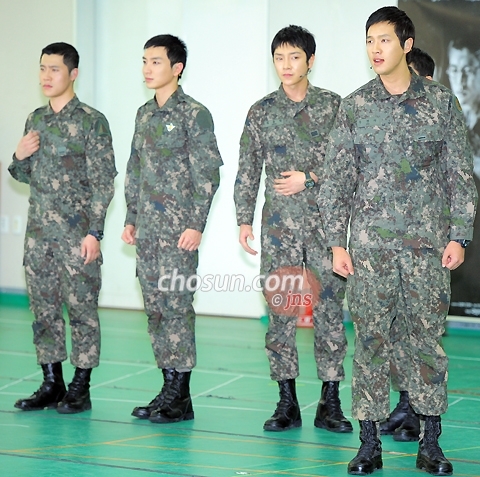 The show features a number of stars who are currently serving their compulsory military duty, including actors Ji Hyun-woo and Kim Moo-yeol, as well as singers such as Super Junior's Lee Teuk, Yoon Hak of boy group Supernova, and Lee Hyun of 8Eight. The production follows the story of seven soldiers whose bonds of friendship are strengthened on the deadly battlefields of the 1950-53 Korean War. It is being made in commemoration of the 60th anniversary of the signing of an armistice that finally ended the conflict. The musical will be staged from Jan. 9-20 at the National Theater of Korea. For further information, please call (02) 1666-8662.